With this product, you earn 5149 loyalty point(s). Find more about this! 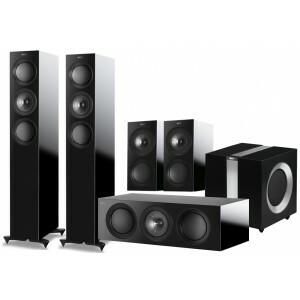 The KEF R5 5.1 package (available on 0% finance) is a premium 5.1 surround sound package combining one pair of R5 and one pair of R3 speakers, R2C centre speaker and an R400B subwoofer designed to allow each speaker to interact with and compliment the other to bring a sound that sends shivers rippling across your skin. We have mixed and matched from KEF's renowned range of speakers and tried to allow each speaker room to shine in its own space delivering you a thrilling roller coaster ride of a sonic voyage. Whether you want a system that will bring Jimi Hendrix's trademark "heavy metal falling from the sky" guitar sound crashing through your own ceiling or to try to finally hear what Bill Murray whispers to Scarlett Johansson at the end of Lost In Translation, the R5 5.1 Surround package will bring you all this and more, making every movie and every album a realistic depiction of what the artists behind them intended you to hear. The new KEF R Series has been completely re-engineered from the ground up. Decades of experience and unbridled passion for music come together combining innovations drawn from the Reference Series with new bespoke technologies to deliver more detail, deeper insight and greater excitement. The speakers benefit from a new 12th generation of the legendary Uni-Q which has been extensively designed using KEF’s in-house simulation and analysis tools. KEF’s engineers have been able to dramatically reduce colouration through reducing resonance in the minute gaps between Uni-Q’s separate elements. The resulting sound is purer, more precise and makes stereo imaging far more believable. R Series benefits from Constrained layer damping. This system utilises internal braces joined by a ‘lossy’ interface and is highly effective at dissipating unwanted vibrations that would otherwise artificially change the sound and music. 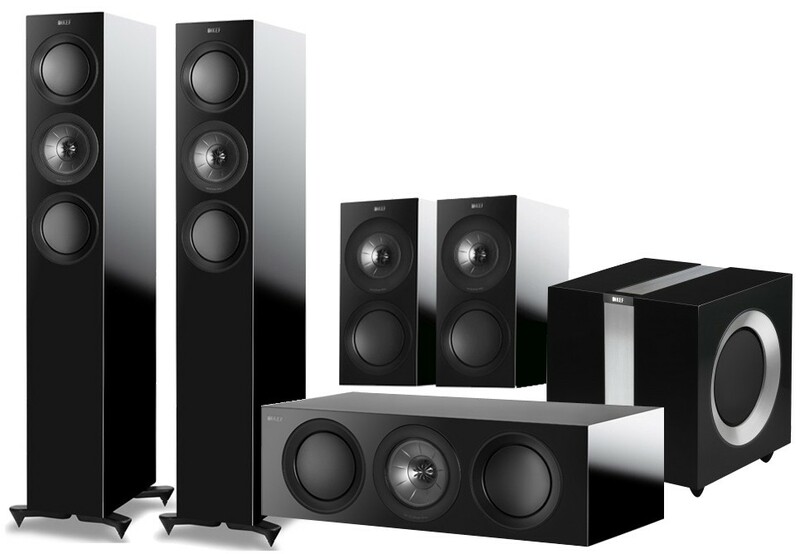 For more information on the floor-standers, visit our main KEF R5 page. For more information on the bookshelf speakers, visit our main KEF R3 page. For more information on the centre speaker, visit our main KEF R2C page. For more information on the subwoofer, visit our main KEF R400b page.